There’s one thing missing from the many studies on work-life balance. It’s the story of small- and midsized business owners, who make up most of the GetResponse customers. So we set out to discover how entrepreneurs and marketers work, their needs and habits when balancing business and life, and how we can help them save more time to do more of what they love. GetResponse conducted a global survey in July 2018. The response went beyond our expectations – 4,237 small business owners and marketers decided to share their valuable voice with us. They told us about their challenges and tough choices, their goals and personal pursuits. 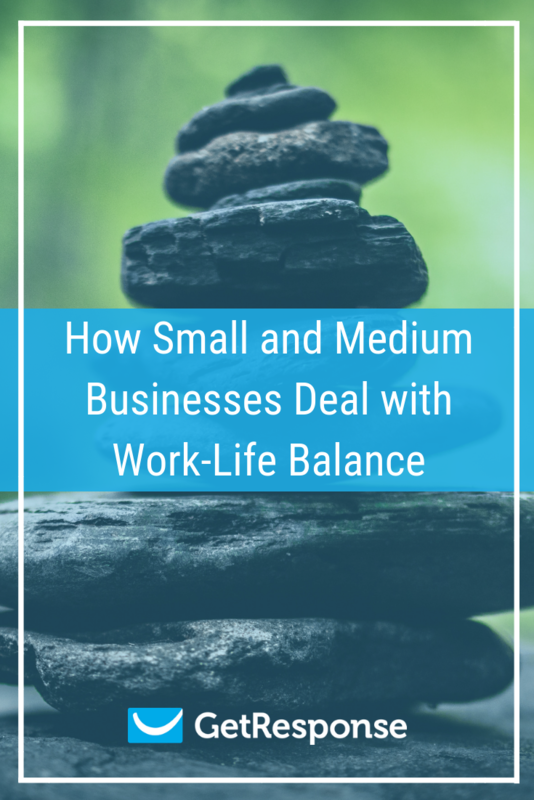 We proudly present the results of this immense research in the SMB Work-life Balance 2018 Report, created to honor the hardships and rewards of small businesses. It’s no secret that entrepreneurs work harder to grow the business with limited resources to start. According to our study, over 25% of SMB marketers work more than 40 hours a week and an outstanding 91% work weekends. They tend to answer business calls and emails in their free time (69%) and some of them haven’t taken a vacation for over 4 years (16%). How can we talk about work-life balance, then? Apparently, it’s the reason why 32% of SMB entrepreneurs decide to start their own business in the first place. They can spend more time having fun with friends and family (43%) or have more control over their career (19%). 61% of SMB owners told us they would never go back to a 9-5 job. That proves having your own business can be tough, indeed, but it’s rewarding. 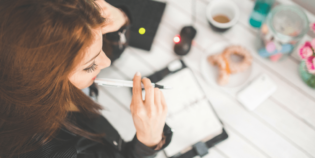 We can’t say that business owners can always fully achieve the perfect work-life balance. But we can say that they’ve entered the era of work-life integration. Thanks to technology they can be working between dropping kids at school and going to the gym, having business meetings on Saturdays or working on vacation. Countless hours in the office simply don’t matter when you do what you love. To test these theories, we met six American entrepreneurs, who run small businesses in Massachusetts, in person. 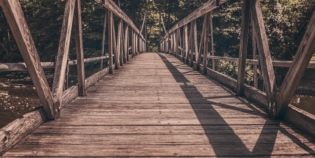 We asked Harold, Shel, Katie, Kim, Paul, and Joanne how they combine their private and professional goals, what challenges they currently have, and what motivates them to keep going. From marketing agency owners, through photographers, interior designers, and vintage car dealers – we learned what really defines success for small businesses and how GetResponse can help achieve it. The bottom line is – when done right, running your own business becomes a passion, and passion doesn’t have time frames.